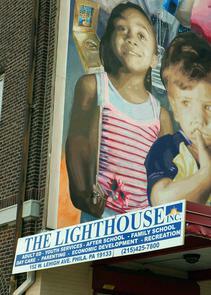 Founded as a settlement house, the Lighthouse has its roots in the temperance movement. The turn of the 19th century was marked by a financial depression, and industrial hubs like Kensington were hit the hardest. Alcoholism and homelessness were rampant throughout the neighborhood. 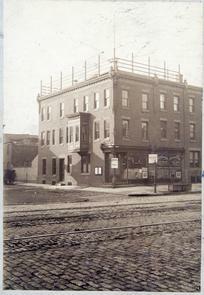 At the time, Kensington housed 135 saloons in a five block radius. The struggling community inspired Lighthouse founder Esther Kelly Bradford to organize a social center where neighbors could mingle, train for employment, take advantage of educational opportunities and locate necessary resources for day-to-day living. 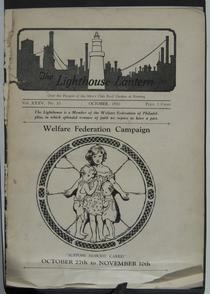 Most notable of the programs at the Lighthouse were those of the Boys’ and Girls’ clubs. While the Boy’s soccer team gained international recognition, the Girl’s created the nation’s first meals-on-wheels program. Over the century the organization has morphed into multi-service agency serving a multicultural and multilingual population. 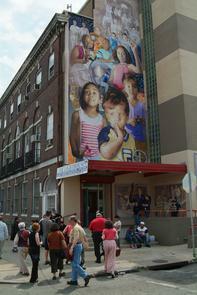 Yet its mission remains unchanged: to improve quality of life for Kensington residents. 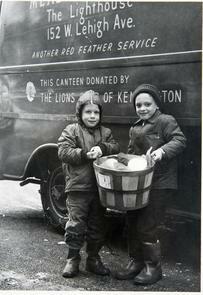 Esther Kelly’s endeavor to help the Kensington community began in the early 1880s. 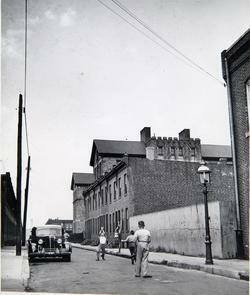 She frequented the area to visit her brother Howard, a medical intern who lived in the Episcopal Hospital on the corner of Front and Lehigh Streets. Inspired by the neighborhood, she began by making the five mile trip from her home on 17th between Spruce and Pine streets once a week to teach Sunday school to Kensington’s children. Then, in 1893, America’s economy plundered into depression. Kensington was hit hard. Dark times fell upon the neighborhood during the panic. Soon, the community was experiencing the destructive effects of widespread alcohol consumption. It was the same year, 1893, that Kelly requested the Episcopal Hospital allow her to use two rooms, two nights per week to teach Bible studies to men. Conditions continued to worsen. In the next three years, 15,000 American businesses, 600 banks and 74 railroads failed. By 1894, national unemployment reached almost 20 percent. Homelessness and alcoholism were at an all time high. Kelly realized the community needed more than just bible studies twice a week. So, she decided to move to Kensington and with the help of her brother Howard and the Union Benevolent Association, Kelly acquired a building at 140 W. Lehigh Ave to expand her services. 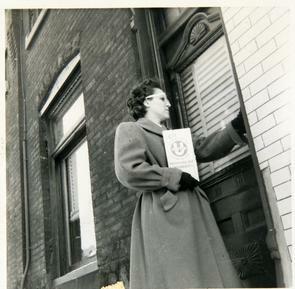 Her goal was to “help people of the Kensington community to locate, understand and solve their social needs and problems.” She sought to provide alternative social and recreation activities for the working-class peoples, where neighbors could mingle, train for employment, take advantage of educational opportunities, and locate necessary resources for day-to-day living. Within a few short years Kelly was president of one of the most influential community organizations in Philadelphia: the Lighthouse. It quickly grew into a benevolent organization that served as a settlement house, library, child care center, and recreation facility. While seeking a male instructor to teach evening classes at the Lighthouse, Kelly met Robert Bradford, a Philadelphia attorney and her future husband. In 1905 the couple married and bought a home right down the street from the Lighthouse. 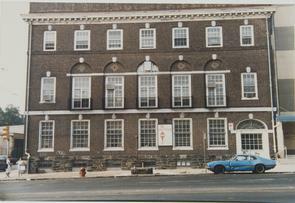 They used both the original property and their new house at 146 W. Lehigh Ave as centers for the Lighthouse organization. Eventually Bradford gave up his law practice so the two could devote all their time to their organization. The Bradford home was open to the Kensington community 24 hours a day. 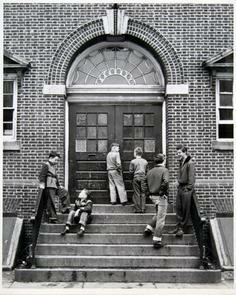 Perhaps the greatest impact on the community was made through the Lighthouse Boys’ and Girls’ clubs. 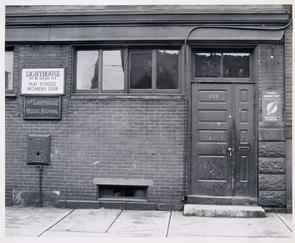 Started in 1896, the neighborhood’s support for the Boys’ Club is shown by its increasing enrollment. In the first month of the Club’s existence, 350 boys joined. After two years, “the membership had reached such proportions that the boys frequently became jammed on the steep, narrow stairway leading to the game room able neither to retreat or to go forward.” By 1924 the Club had a membership of about 19,000. 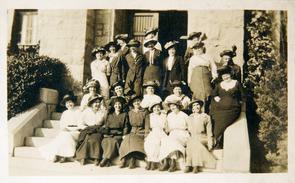 In a brief history written by Esther Kelly herself, she recounts how the boys of the club pooled together their meager membership dues in order to pay back a loan given to the organization by U.S. Senator George Wharton Pepper. Pepper had put forth the money to build a pool for the Boys’ Club. The loan was paid back in full, albeit without interest. Following the old saying, “it’s easier to prevent a bad habit than to break it,” Lighthouse youth programs sought to stress a moral code upon the community through the children. 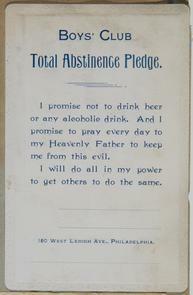 Boys were encouraged to sign a “Total Abstinence Pledge” that encouraged boys not to drink beer or any alcoholic drink and to pray every day to keep away evils. 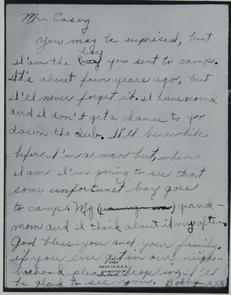 In addition, a “Card of Admission” inviting young men to participate in “A Rare Opportunity to hear Famous Speaker Prof. H.A. 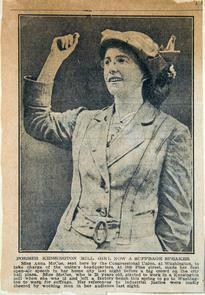 Kelly talk to men on the subject of Purity and the Consequences of Impurity (1906),” exemplifies the general mission of the Lighthouse to promote temperance. 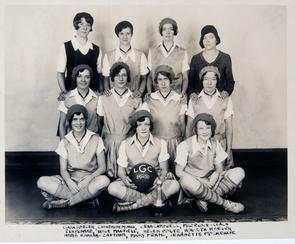 The Lighthouse frequently re-examined its programming in efforts to keep a balance between its social service function and traditional athletic offerings. 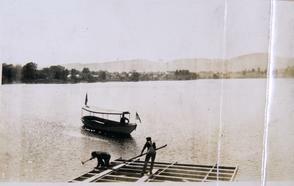 Recreation was a key component, especially for the young girls and boys. 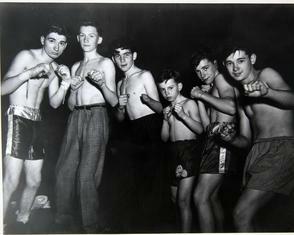 Boy’s activities included a wide range of pastimes including everything from airplane modeling to singing to boxing. 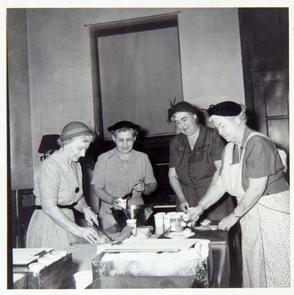 Girls had somewhat narrower choices with more domesticated activities that included things like cooking, roller-skating, sewing, and softball, to name only a few. Activities changed through the years in keeping with the changing interests of its members. On occasion, the Boys’ and Girls’ Clubs joined forces. They formed a drama class and performed in front of audiences of up to several hundred people. They also presented folk dancing and concerts. How we love you thru and thru. We have at the Lighthouse. The Historical Society of Pennsylvania also holds an evocative collection of Lighthouse memories with dozens of meticulously detailed photo albums depicting the thousands of children who were able to escape the Philadelphia summer and spend a few weeks at camp. 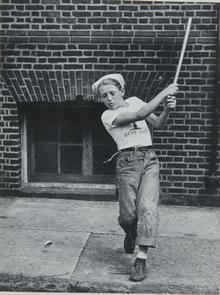 Summer recreational facilities were at Chester Springs, Pennsylvania from 1928 until 1957. By 1971 Kensington’s growing Puerto Rican community pressured the Lighthouse to appoint two Puerto Rican members to the board to more accurately reflect the populations of the neighborhood. A legacy of the grass-roots activism in the 1970s, the Lighthouse is now an organization staffed by many Latinos and works to ensure the social and economic health of its predominately Latino community.